We are pleased to offer station tours, vehicle displays, inspections, extinguisher training and fire safety presentations. 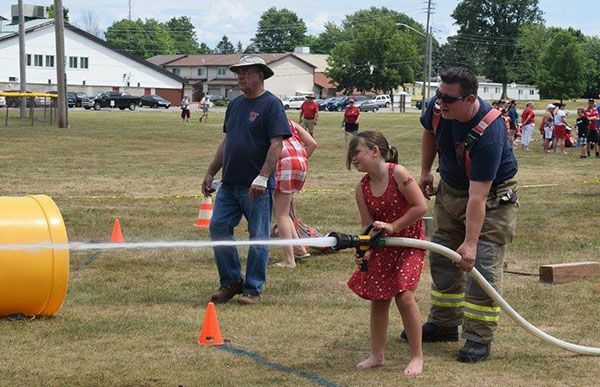 To schedule an event or for general fire prevention questions please email our Fire Prevention Officer, or contact by phone at (613) 258-9569 ext. 205. Smoke alarms save lives. Smoke alarms that are properly installed and maintained play a vital role in reducing fire deaths and injuries. If there is a fire in your home, smoke spreads fast and you need smoke alarms to give you time to get out. Have a Home Fire Escape Plan - download one here! Download a smoke alarm safety tip sheet! For more information about smoke alarms, see the National Fire Protection Association's Public Education page here. Download a carbon monoxide safety tip sheet. For more information about carbon monoxide safety, see the National Fire Protection Association's Public Education page here. Barn fires can cause a devastating loss of livestock and assets for owners in addition to emotional and economic hardships for families, businesses and communities. 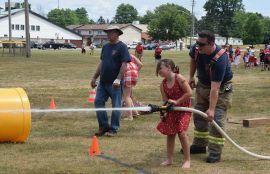 The North Grenville Fire Service wants to help prevent such losses by promoting fire safety on farms and agricultural properties in our community. Download your Farm Fire Safety Checklist here. Make sure a reliable source of water is available and easily accessible by fire departments. Ontario encourages owners of farm buildings to follow these best management practices when working with livestock in farm buildings. Planning ahead to reduce risks and prevent accidents will help protect employees, family members and animals. For more information visit: OMAFRA's Barn Fire Information page or call the North Grenville Fire Service at (613) 258-9569 x205. Download OMAFRA's Reducing the Risk of Fire on Farm document here. If an existing building is not maintained or used in accordance with its original design, the Ontario Fire Code applies. Example: A Church is designed and constructed in accordance with Building Codes and zoning for a use of an assembly. That means, the building and life safety systems designed into the building support the level of risk/safety for assembly use. It would not have taken into consideration another use (such as sleeping accommodations). If the building is used for a different use (such as sleeping), the building and safety systems of the Ontario Building Code are not built into it therefore anyone who fails to maintain or use a building to its required standard may be ordered to comply and/or charged with a Provincial offense. The Fire Code does allow, in some cases, the ability to use a building for another use on a temporary measure. See requirements document here. To do that, the owner has to provide to the authority having jurisdiction, alternative measures that would reduce the life safety risks to protect the occupants. Please download applications here: Occupancy Submission Cover Letter and Occupancy Designation Form. Please note the guideline refers to the use of schools for sleeping accommodations, however, the process and requirements would be the same, and this guideline would be an excellent tool for churches and recreational facilities etc. SEATS for Kids Canada is committed to ensuring every parent or caregiver knows how to install and use their child’s car seat safely every time they ride. They are a non-profit organization located in Ottawa, dedicated to increasing the appropriate and correct use of child restraint systems of children the community. See their website here for installation information as well as any car seat clinics happening in & around the Ottawa area. 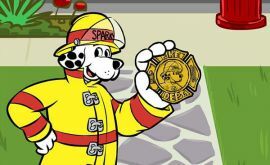 Go visit Sparky for some awesome games, videos, activities and more! Or download the Sparky Game Apps for your device! Also find free resources for parents and educators! Find more information on Keeping Kids Safe here.